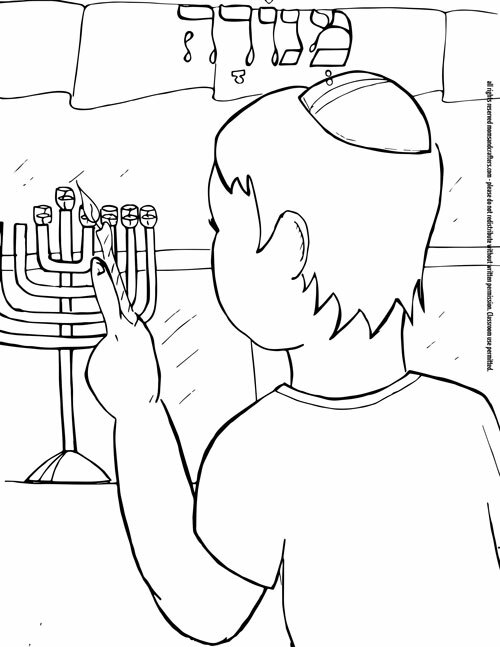 I pulled these Hanukkah coloring pages for kids out of the depths of my computer and decided to offer them as a free printable for the little ones for this Chanukah season. Years ago, a friend of mine was teaching in a Jewish school in Paris, and she wanted something fun for Hanukkah (better known as Chanukah among practicing Jews). I decided to draw a few coloring pages for her to share with her class. I decided, why not offer them here for my readers? 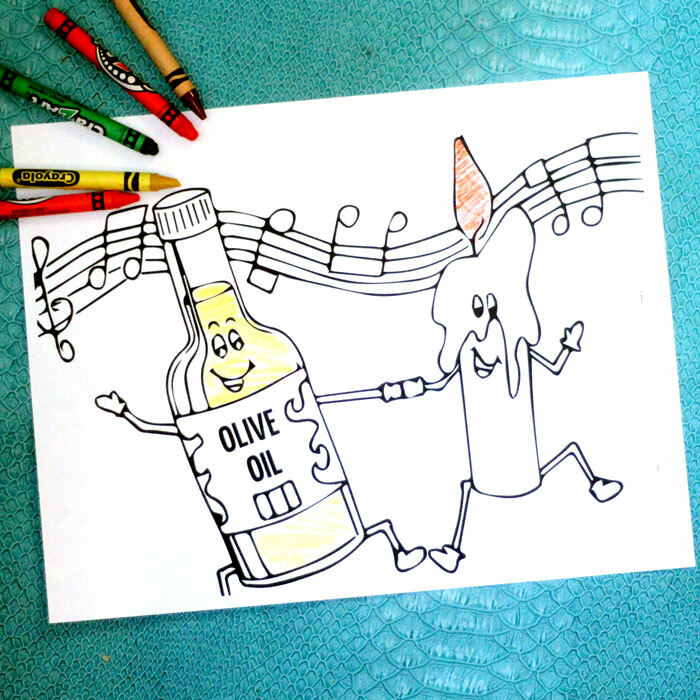 So I pulled them out, fixed them up, switched “huile d’olive” to “olive oil”, and now you can download them for the kids. Now that I actually have a little boy of my own, who just turned three and is old enough to really follow along and understand as the holidays happen, I love pulling out things like this. 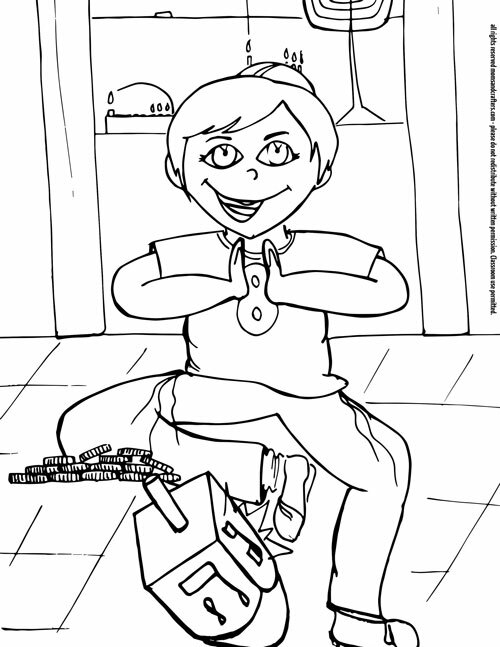 He had so much fun coloring these Chanukah coloring pages, and will know about it in advance of learning in preschool. 1. 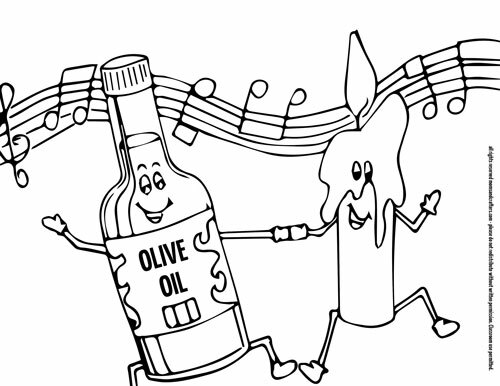 A bottle of olive oil dancing with a candle, representing various ways that people light their menorahs. 2. A boy playing “dreidel” and expressing his joy at landing on the letter “gimmel” – the most valuable letter of the dreidel game. 3. A young boy lighting the menorah, with the word Menorah written out in Hebrew at the top. 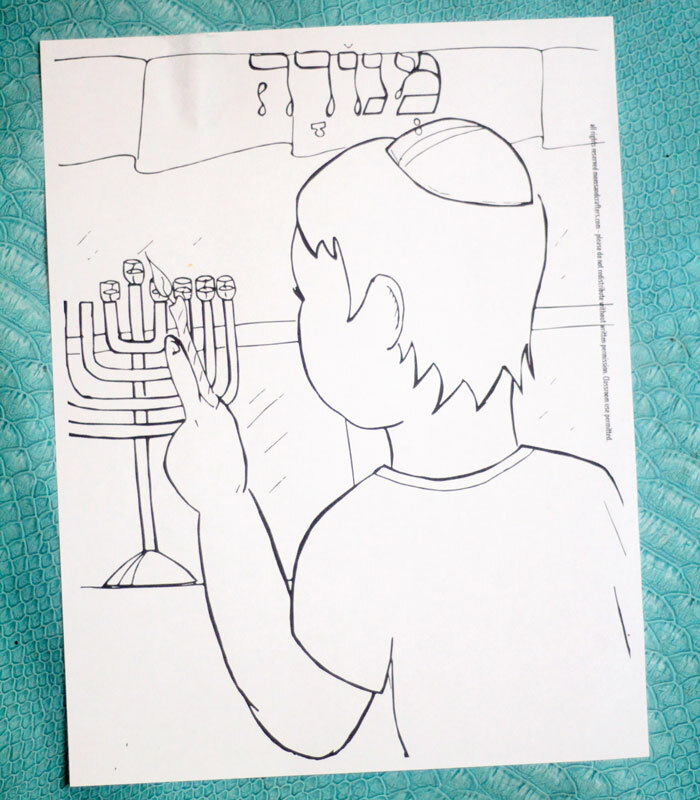 I’m going to have to apologize at the lack of girls in these Hanukkah coloring pages – it’s possible that my friend may have been teaching an all-boy class at the time. Or possibly, I just had boys on my mind because of my little brother. 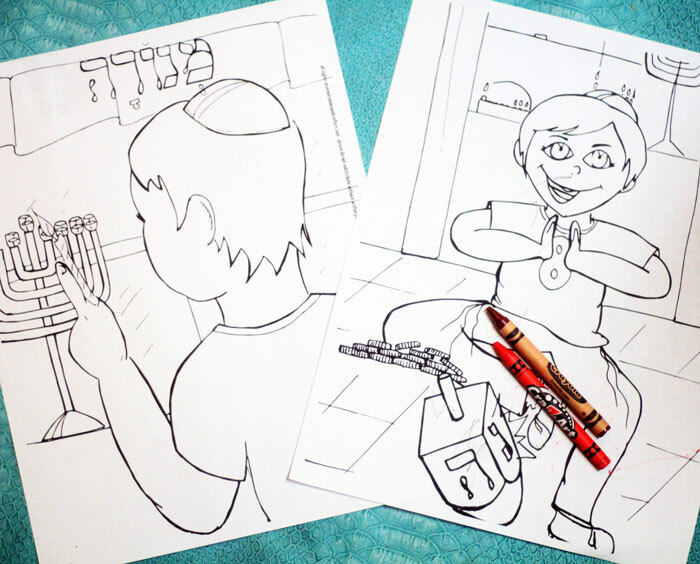 Hanukkah coloring pages are a great way to teach about traditions in the classroom, to involve preschoolers in the holiday, or to keep young children busy at your family Chanukah party. 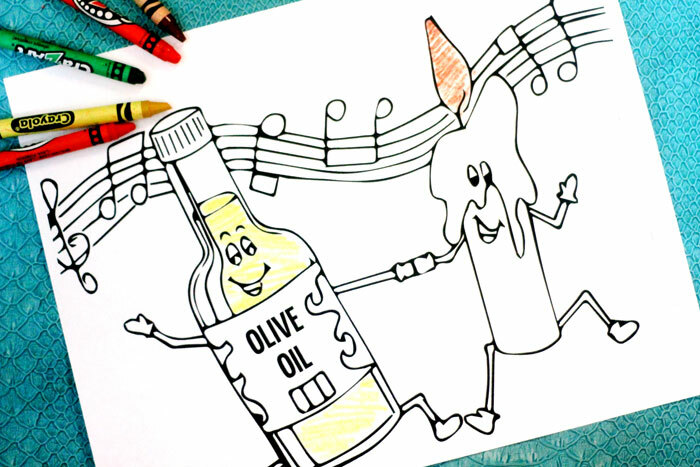 You can put out a pile with crayons in every color and keep those kids busy! I hope you enjoy! Here is a full preview of the pages you receive. Crafts for kids, Crafts for preschoolers, Crafts for toddlers, Free Printables, Holiday and Seasonal crafts, Jewish holidays, Preschoolers, Printables for play, Winter crafts. Bookmark.